How to start sales in your startup when you don’t have a clue about sales? Startup owners usually think about developing their product or service, hiring top-notch people to help them in that mission, fixing every problem that occurs along the way and managing everyday projects and tasks. But then they realize they actually need to sell that product or service to someone. Or the investors ask about their sales and they don’t have an answer because they didn’t even consider it. Maybe you, a startup owner, were lucky enough to have had a few friends that agreed to buy the service, but you can’t live off your friends forever, especially if you want to expand. Sales are inevitable in any business and the sooner you understand how important they are – the better. So what do you do when you need to sell but don’t have a clue about sales? Before you start any of your sales efforts, you need to know who you’re selling to. Any attempt to spray and pray with your sales will only result in money and time wasted. You can construct your Ideal Buying Persona by researching who are the customers of your competition or by analyzing the needs of your own customers if there are any. You need to know what kind of companies you’re targeting, how many employees they have, what is their revenue and how much they are paying for their services. You need to know their pain points and aspirations that your product or service can help them solve. You will find this out by doing the so-called social listening and finding out what those kind of companies are posting on social media. Then you need to research who are the decision makers inside those companies and acquire their contacts (email and telephone numbers) to reach out to them and offer them your services. You can do it yourself via LinkedIn or various email searching tools and methods or you can hire a lead list building agency to do it for you if you would rather focus on other aspects of your business. Based on their response you should have a pretty clear idea if they are the right fit for you. But don’t forget some of them may not even be aware that they need your service or product – it’s up to you and your sales team to convince them. Before you do that let’s take a few steps back and see what else you need. As you may or may not know, it is practically impossible to do sales outreach in this day and age without an automation tool to help you. Sending emails manually to each prospect is the waste of time and money that can be way better used for self-improvement or the actual sales. Especially if your sales team has one or two people. Plus, the market has gone global and your potential customers may be scattered around the globe. Automation tools will help you reach out to each and every of them at perfect time without wrecking your brain about time zones and their working hours. We have gathered a list of 50+ sales tools (you’re welcome) that you can choose from depending on your needs and your budget. There are two directions in which you can go when it comes to your own sales – you can either hire your own inside sales team or outsource your sales efforts to an expert agency. For start, it’s usually recommended that you hire either a sales superstar or someone with 2-3 years experience in sales who is eager for knowledge and success – it all depends on your budget. But make sure your one sales person understands that being the one man sales show is a hell of a ride. And on that note consider hiring at least two people. Your other option is to outsource your sales email outreach to professional agencies who will do the list building, email composing and automation for you, then only report about the results, leaving you to do what you do best – sell your product or service. Good sales emails are crucial to your outbound sales, because you’re using them as a medium to present yourself for the first time to your potential buyers. But don’t let this mislead you into writing a block of text full of self-praise. Quite the opposite, you’re supposed to explain how your service or product benefits your decision maker and his company. Make those emails highly personalized, not only by using their name, but also by using the information that you collected about your decision makers and their companies. Even though those emails are automated, they should never sound generic and fabricated. Always put your prospect’s needs first, keep your emails short and personalized and you’re on a good track. If you need any more help, you can always use our Ultimate Guide To Cold Sales Emails. Now that you’ve collected your decision makers’ emails, phone numbers and other data that may help you close the sale and you’ve (nearly) mastered the art of cold sales emails, you can finally start your email outreach. Make sure the contacts you have are correct and that those are really the decision makers you should be contacting. Believe in your work and your company and focus on the solution to the problem that your product or service is providing. Talk to the decision maker by really addressing his pain points and answering his questions and they will not be able to ignore you. Send them a blog post that you or someone on your team wrote that may be interesting or/and educational. Hackernoon says you should send at least 10 emails per day if you want to get your sales off the ground and Userlike advises that you only focus on the prospects at the bottom of your sales funnel. Even those who have been in the biz for a long time know that not everything will bring results right away and that they need to test their emails’ subject lines, opening lines, time of the day or day of the week to see what works and achieve higher open and reply rates. Always test your emails by splitting your lead lists and be patient. 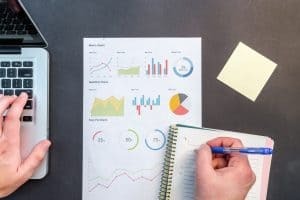 Salesforce B2B Sales Benchmark Research says that the average time for conversion from lead to opportunity is 84 days with an average conversion rate of 13%, and out of that 13% less than 1% of total leads end up becoming actual customers. The more you do this – the more data you will have. Then you can act further according to the information you collected. Speaking of data, always measure your results. Percent of open rates and reply rates are very important. If the open rates are low maybe your messaging missed the target or maybe your Ideal Buying Persona is not as accurate as you thought. If your reply rate is nonexistent you probably sent a wrong message and your pitch was not understood the way you wanted to or the person you wrote has no idea what you’re talking about. 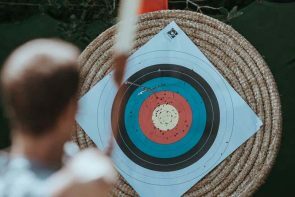 Measuring is the only way to success and something that can help you tweak your campaigns so accurately they will hit bull’s eye every time. Now we’ve only talked about the email outreach part of sales, which, by the way, always seems to work like a charm and Guidance claims it brought them more customers than their partner program, website and events put together. But you also shouldn’t forget content (especially eBooks and Case Studies of your previous work), social media (focus on the networks best for your product or service for example if you’re a B2B startup, LinkedIn should be your primary network), free trials for software startups and other marketing paraphernalia that will ultimately help you with sales. Market Republic has helped startups like Twilio, Guidance and Quid grow their sales and we can help you, too. All you have to do is contact us and our sales experts will get in touch with you.